Statement necklace paired with tucked in emerald green shirt and pencil skirt. Love. Eye catching skirt paired with a simple grey tee. You'll be turning heads! 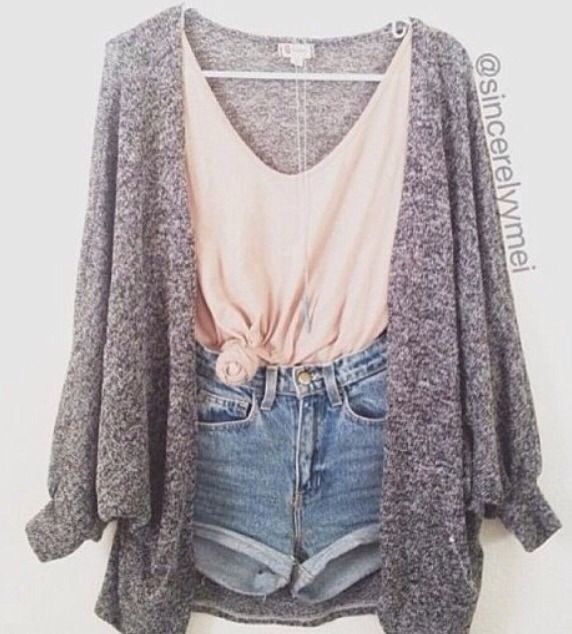 For the colder summer nights throw a cardigan over your usual summer outfit to go for the comfy, cute look. Basically, I'm obsessed with these shorts. Tuck in a blouse, put on some sandals and some jewelry and you'll be good to go.